UNEEDIT.com is the place to go for office furniture, industrial equipment, janitorial supplies, office supplies and more, all at extremely discounted prices! 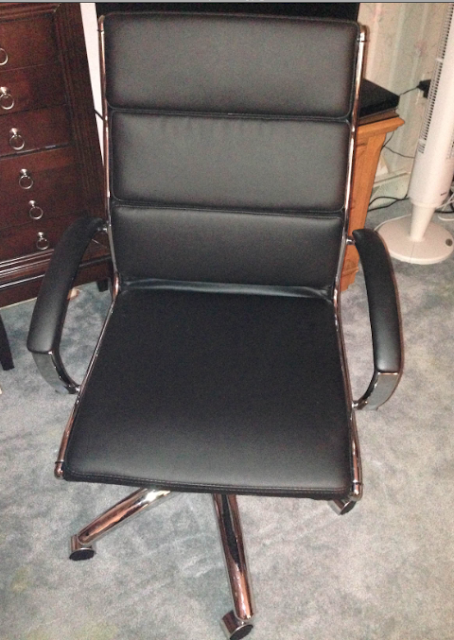 I had my old faux leather chair for so many years at my work desk at home and while I thought I really was comfortable in it, I noticed that over the past 2 years my back hurt more, I couldn't get comfortable, and I found myself laying on my bed to type on my computer instead of sitting at my desk. But now that has all changed all because of the amazing new chair I get to enjoy for many years to come! I received the Alera Neratoli Mid-Back Swivel / Tilt Chair. It has the softest black leather and I love the shiny chrome frame! It has such a great cushioned feel and a slim profile which is exactly what I like and what my last office chair lacked. It has a waterfall seat to reduce pressure on the back of the knees so you'll have better circulation. And the padded arm caps are great and really make this luxurious. It was actually really easy to put together as well! It regularly retails at $449 but UNEEDIT is now offering it for $150! That's quite a deal considering how luxurious this chair is! And one lucky winner will get the Alera Neratoli Mid-Back Swivel/Tilt Chair for themselves! I like the 10500 "L" Workstation Right Pedestal Desk, 66w x 30d x 29-1/2h, Harvest. I need a new desk and chair so badly. I really need the Boltless Steel Shelving, 5 Shelves, 48w x 18d x 72h, Black for my stockpile. I like the Alera folding table. Blue Plastic Stackable School Chair with Carrying Handle and 11'' Seat Height is very cute for my boys. This would be soooooooo cool to have in my home office! I would maybe even get rid of some bookshelves in order to fit it in! I like the Fully Powered, Automatic Massaging Black Leather Recliner with Refrigerated Cup Holder and Lighted Base. 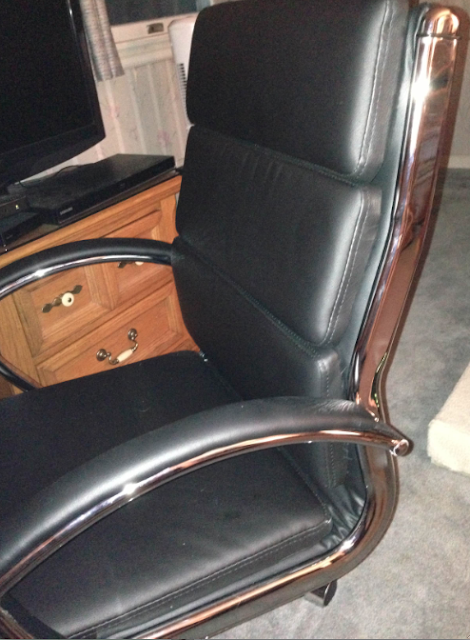 The Massaging Black Leather Executive Office Chair --- yep that's the one. I really like the 10-Cup Pour-O-Matic Coffee Brewer, that would keep me going for a little while! Your office desk chair or swivel chair can say lot about you. So it is important to find out best recliners for your office or you can add it to your living spaces. Actually a recliner can add style and comfort to a living space.